Augustus was the “first among equals”, though of course equality was in so sense an accurate description of either him or ancient Roman life. 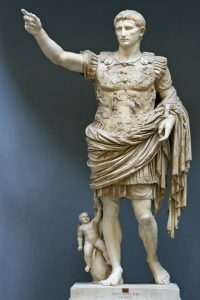 Augustus was a title given to Octavian when he became the first emperor of the Roman Empire and established the institutional framework that would serve Romans for 300 years. Octavian was the adopted son and heir of Julius Caesar. His rule initiated the Pax Romana, a 200-year period of peace, which ended a century of Roman civil wars. His reign as emperor brought forth a new cultural period, which became known as the golden age of Latin literature and saw many new buildings erected in Rome. 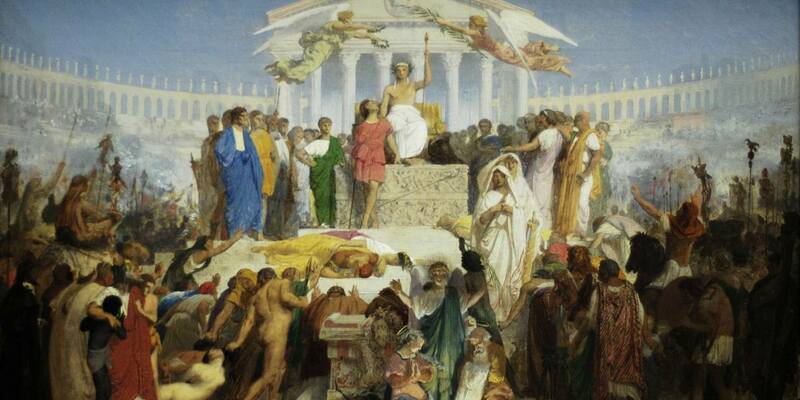 This period marked the end of the Roman Republic and the beginning of imperial Rome. Octavian was born Gaius Octavius on September 23, 63 BCE, in Rome. His father was Gaius Octavius, and his mother, Atia, was the niece of Julius Caesar. His grandmother Julia was Caesar’s elder sister. The First Triumvirate was initially a secret, unofficial political alliance to rule Rome. It consisted of Gaius Julius Caesar (Julius Caesar); Marcus Licinius Crassus, who had suppressed the slave revolt led by Spartacus; and Gnaeus Pompeius Magnus (Pompey). Julius Caesar was assassinated on March 15, 44 BCE, the Ides of March. Julius Caesar’s will revealed that Octavian was his adopted son, the heir of his name, and heir of his considerable estate. Octavian became known as Gaius Julius Caesar Octavianus. Upon his return to Rome Octavian discovered that Mark Antony had taken charge. They formed an alliance of three along with Marcus Aemilius Lepidus, one of Caesar’s most trusted allies. This Second Triumvirate was officially supported by the Roman government and was given special powers for five years. As Suetonius wrote, “the underlying motive of every campaign [after he returned to Rome] was that Augustus [Octavian] felt it his duty, above all, to avenge Caesar.” The Triumvirate’s first task was to draw up a list of those who had taken part in the conspiracy to kill Julius Caesar. 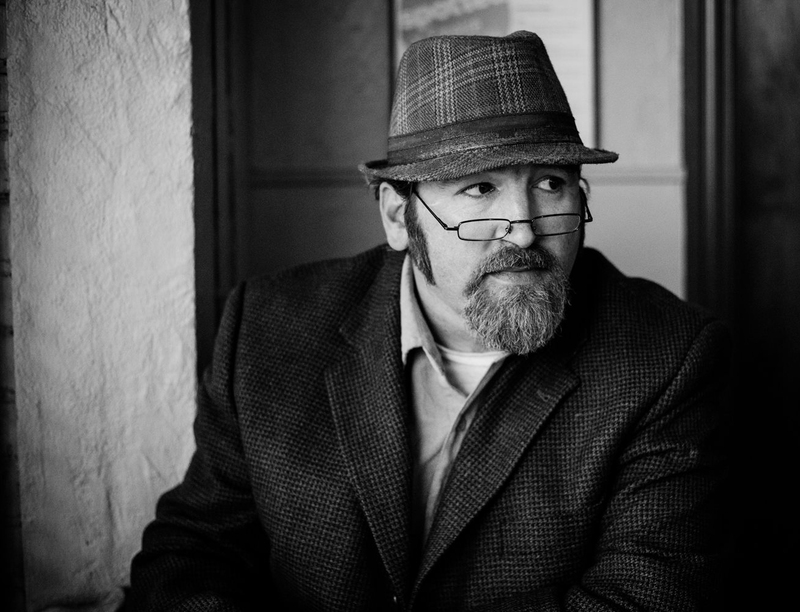 Hundreds of people were arrested and executed, or jailed and their property declared forfeit. This removed all potential enemies. It also hugely enriched the members of the Triumvirate with money for a large army to search for two major conspirators, Cassius and Brutus. These two were defeated at the Battle of Philippi in Macedonia and committed suicide. The Triumvirate then divided the Roman Empire among them. Lepidus moved to Africa to rule. The western part of the empire, including Italy, was in the hands of Octavian, who controlled Rome. The eastern part, which included Egypt, was under Mark Antony’s control. 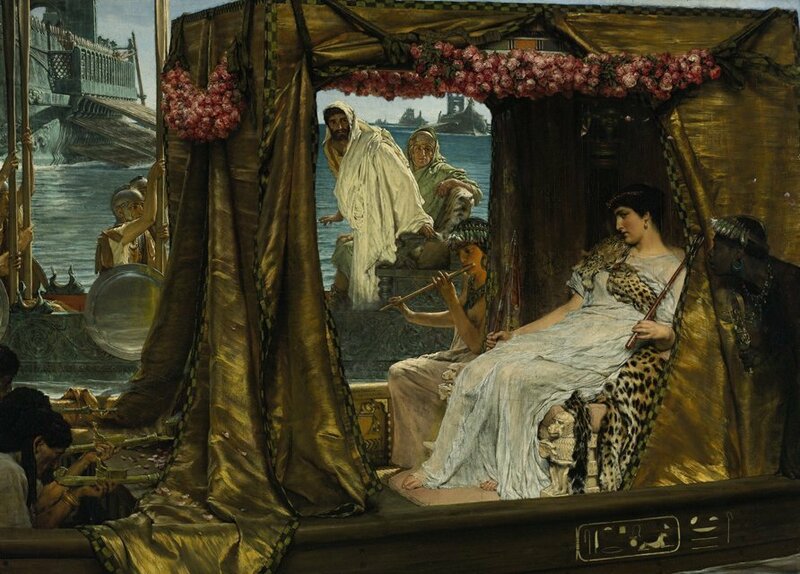 Mark Antony had been smitten by Cleopatra, the queen of Egypt, and sailed to Egypt, becoming her lover and fathering three children with her. Needing a proper Roman wife, Mark Antony married Octavian’s sister Octavia Minor in 40 BCE and had two daughters, both named Antonia. Three years later, in 37 BCE, he deserted Octavia and lived openly with Cleopatra. Octavian, in the meantime, was building up important alliances in Rome and consolidating his power base. Mark Antony was becoming a troublesome rival to Octavian. However, to the public, Mark Antony was clearly linked with Julius Caesar’s triumphs and was an important Roman military figure. Octavian allowed rumors to be spread that Mark Antony was becoming more and more an Egyptian and less a Roman. Mark Antony spread rumors that alleged that Julius Caesar had seduced Octavian. The situation became extremely nasty as Mark Antony sent many letters undermining Octavian to key Roman figures. Octavian felt it necessary to do away with his rival, yet he and the Roman government did not wish it to be viewed as another civil war. The Senate officially declared war on Cleopatra in 32 BCE and officially stripped Mark Antony of his title as triumvir. Mark Antony and Cleopatra were anxious to prevent Octavian from reaching Egypt and moved with their forces and fleet to the west coast of Greece, in what was clearly a preparation to invade Italy itself. 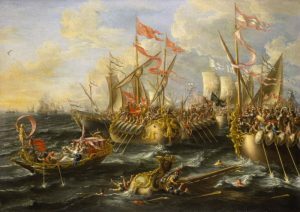 Octavian led his legions and fleet to Greece as well, and on September 2, 31 BCE, the issue was decided at the Battle of Actium. It was a massive naval battle with a total of more than 400 vessels. Agrippa, in charge of Octavian’s navy, formed his fleet into a center and two wings of equal strength. Mark Antony drew up his ships in the same formation, but left 60 vessels under Cleopatra in reserve. As the two fleets clashed, Mark Antony’s center panicked and fled, along with his left wing. Mark Antony realized the battle was lost and signaled to Cleopatra to escape, and he followed. 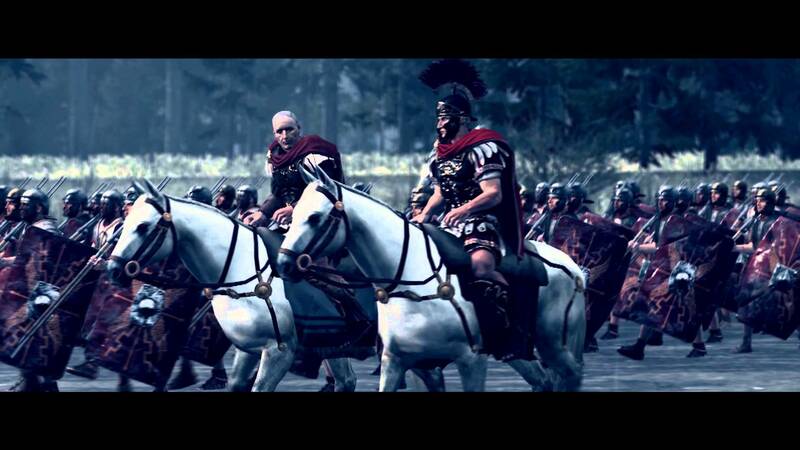 Antony’s entire fleet was destroyed and upon seeing this, his land legions fled in the face of Octavian’s armies. In Egypt, in 30 BCE, upon being told erroneously that Cleopatra had committed suicide, Mark Antony killed himself. Cleopatra was captured and told that she would be taken to Rome as a captive and taken through the streets in procession. Rather than be taken captive she committed suicide. Octavian then annexed Egypt and returned to Rome in triumph. The eastern half of the empire, loyal to Mark Antony, swore allegiance to Rome and Octavian. Even with no major rivals, Octavian was wary of his public image and the perception of his power. Octavian had inherited the support of the plebeians, the poor of Rome, who had been the mainstay of Julius Caesar’s power base in the city, and was careful to stay in the Senate’s good graces. At the instigation of the Senate he become proconsul in 27 BCE. Later the same year the Senate invested him with the titles princeps and augustus, the latter of which he never used. In some ways the title was more a religious than a political one, whereas Princeps translated as “first citizen” and was used to signify a semi-imperial authority. In 23 BCE, Octavian achieved what became known as the “Second Settlement,” an agreement between himself and the Senate. He was invested by the Senate with the powers of a tribune. This gave him the power to call the Senate at his will and to veto any decisions they made. He had control of all soldiers in Rome and was the head of all Roman forces throughout the empire. He was also granted imperium proconsulare maius (“imperium over all the proconsuls”), which allowed him singly to act as he saw fit in any province and overturn the decisions of any provincial governor. In effect he now had dictatorial powers. Octavian was still treading cautiously and using a thin veneer of legitimacy. Although the ruling class could see Octavian gaining too much power, many aspects of this Second Settlement were lost on the poor of Rome who still supported him as the “defender of the people.” When Octavian did not stand for election as consul in 22 BCE, some plebeians felt that he was being forced from power by the Senate. As a result in 22 BCE and in the next two years the people only elected one consul in order to leave the other position open for Octavian. 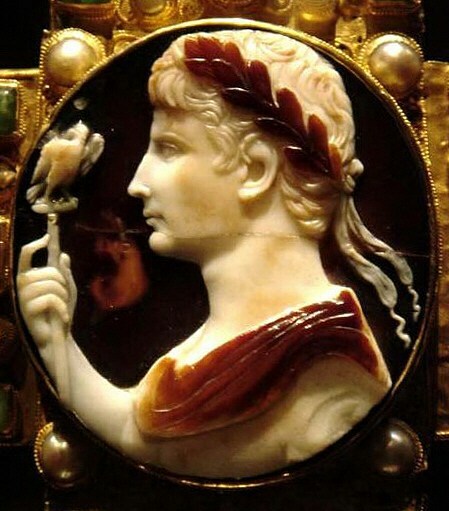 In 19 BCE the Senate voted to allow Augustus to wear the insignia of a consul before them and in public. Six years later Marcus Aemilius Lepidus died. Octavian took the religious position of pontifex maximus, essentially as the high priest of the Roman religion. 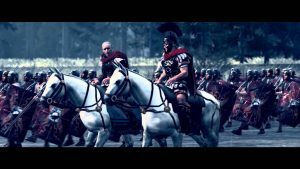 With Rome at peace Octavian instituted military reforms. He reduced the size of the army from 501,000 to 300,000. Legions were stationed at the frontiers of the empire, which kept commanders from interfering in Roman politics. He formed the Praetorian Guard, which consisted of 10 cohorts of 1,000 men. The Praetorian Guard was garrisoned in Rome, provided protection for Octavian, and were the only soldiers allowed in Italy. With massive amounts of money flowing to the government coffers in Rome, Octavian was generous in paying the soldiers and in ensuring that veterans were able to have their own land. Octavian overhauled the tax system to ensure as much revenue as possible. By 6 CE the treasury at the capital controlled the fiscal arrangements for the entire Roman Empire. He also ordered a tax census of every person in his empire. In the Bible, Luke writes: “And it came to pass in those days, that there went out a decree from Caesar Augustus, that all the world be taxed” (Luke 2:1). This is the edict that caused Joseph and Mary to go to Bethlehem where Jesus (Christ) of Nazareth was born. Money was channeled into the building of new roads throughout the empire, a system of mail delivery, and also a fire brigade and police force for Rome. In addition to his own actions, Octavian encouraged others to undertake public works. Octavian was later to boast that he “found Rome made of brick and left it in marble.” As with so many other rulers, Octavian is accused of overtaxing agriculture and spending the money on grandiose projects and games. However, he did remarkably well given that Rome was no longer invading other countries and carting their treasuries home. Octavian was a generous benefactor to the arts. He allocated much in commissions to sculptors and artists, poets and writers. This period was the golden age of Roman literature. Many epic works come to us from this time. Virgil wrote the Aeneid about the founding of Rome by Aeneas. Later in his rule Octavian became a moralist, creating laws to try to change Roman society. He launched a morality crusade to restrict prostitution and homosexuality, as well as adultery, but in Rome this was not successful. One of the issues which overshadowed the latter part of Octavian’s reign was succession. Octavian had one child, his daughter Julia. Octavian died on August 19, 14 CE, after adopting his stepson Tiberius Claudius, son of his third wife, Livia Drusilla. Tiberius became the next emperor, named Tiberius Caesar Augustus. Octavian was proclaimed a god. 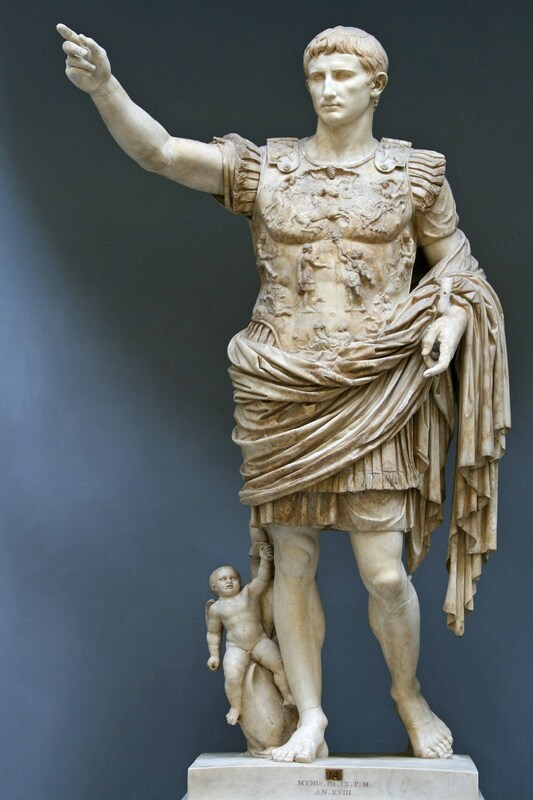 In addition the sixth month of the year, then known as Sextilis, was renamed Augustus (August) after him. Originally published by Alcibiades (07.14.2017), About History under a Creative Commons Attribution-ShareAlike 3.0 Unported license. ← Who Was Julius Caesar?